Once again we were able to spend a few days on our magnificent West Coast with time to indulge in one of our favourite activities, fishing for Dungeness crab. The weather was very accommodating with clear blue skies, a gentle sea breeze and sunny days; just perfect for being on the ocean waters. 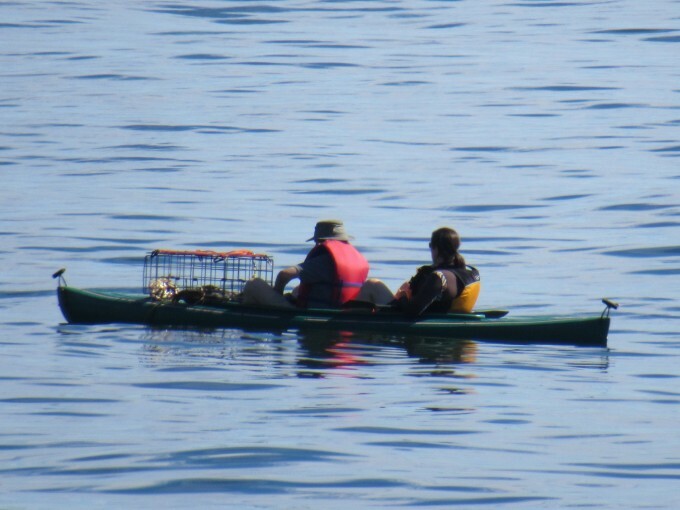 This trip our faithful inflatable boat was out of service and we were happy to be able to borrow a kayak with ample room to drop off and pick up the crab net. Although we only spent a few trips out with the crab net we were pleased to be able to catch our limits. It was interesting to note that all the crabs in the net were male with no females. The crabs were also a good size and several well above limit. The crabs were a bright colour, clear and clean and freshly cooked they were sweet and tasty. 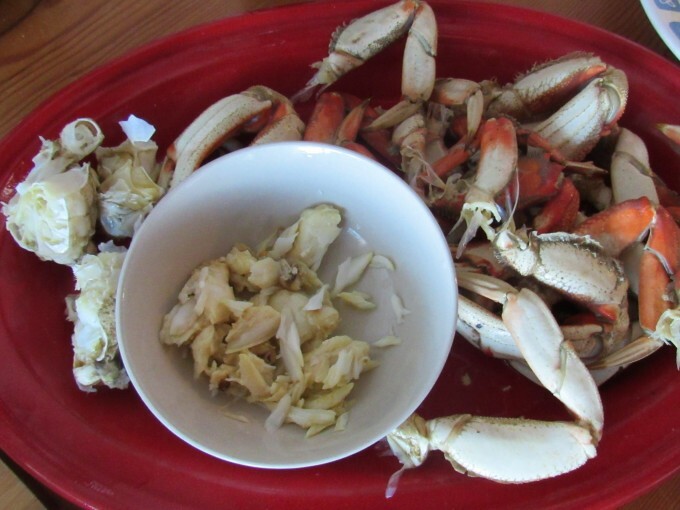 Last year’s very hot and dry spring and summer may have been a reason that the crabs caught were often covered in barnacles and a green algae and did not seem to be as tasty as this year’s catch. 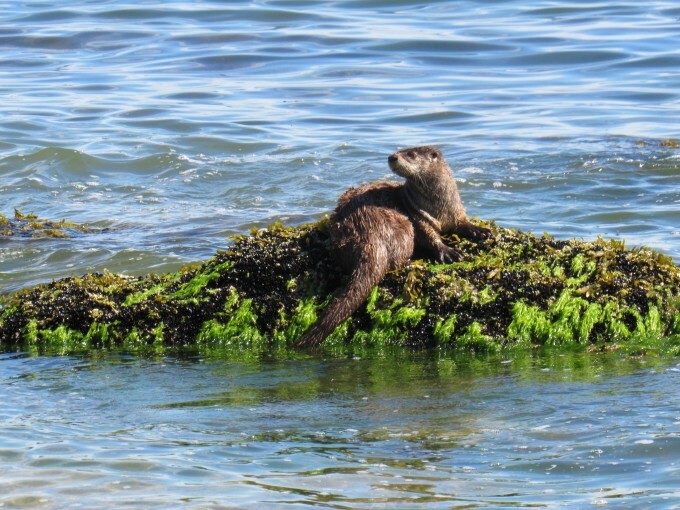 This year, once again, we consider ourselves most fortunate to be able to enjoy the bounty of our local oceans. 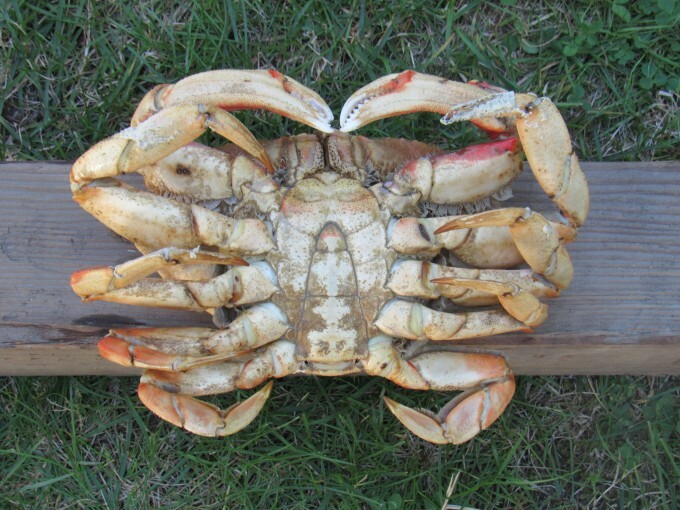 Another fun and rewarding crab fishing experience, being on the water with the bonus of catching tasty Dungeness crab – a true local delicacy. As always take care and be safe. Happy Summer holidays! Less than a decade ago, scientists expected acidification wouldn’t harm marine life until late in the 21st century.